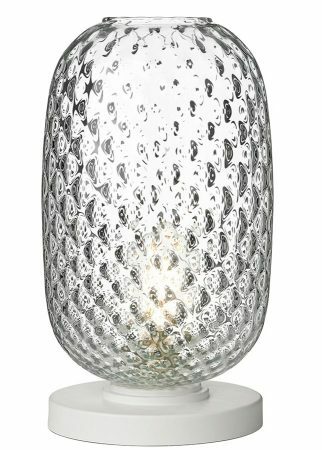 This David Hunt Lighting Vidro large 1 light clear dimpled glass table lamp with white base is contemporary and features a circular stepped base and glass jar table lamp containing the lamp bulb. 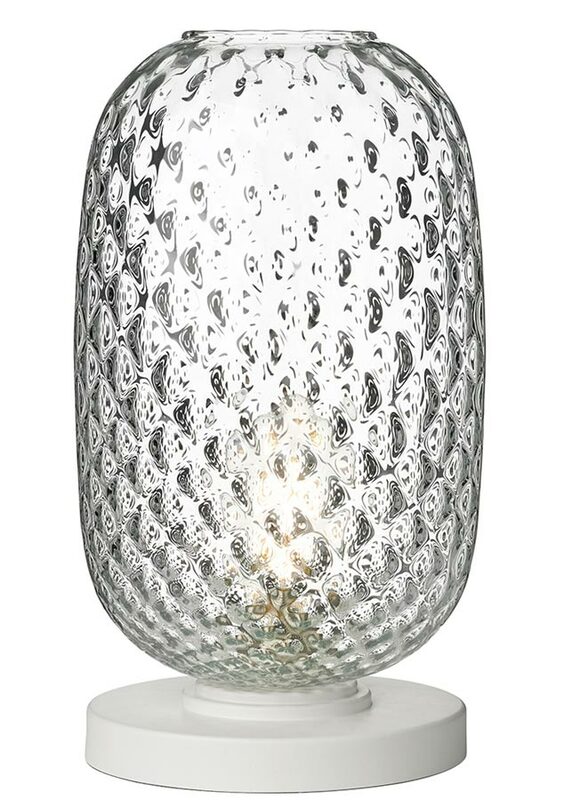 Handmade dimpled clear glass from Portugal is paired with a simple white base to create this lovely table light. Fitted with a convenient inline cable switch. This contemporary table lamp with cultural heritage looks fantastic on any table, where it will provide a background glow that soothes and relaxes. There are alternative fittings in the Vidro clear glass collection that can be viewed below. Also available in green or smoked glass, please see secondary image for details. This table light is designed and hand finished in Britain by David Hunt Lighting who are well known for the design and manufacture of original hand crafted products such as the Vidro large 1 light clear dimpled glass table lamp with white base you see here.